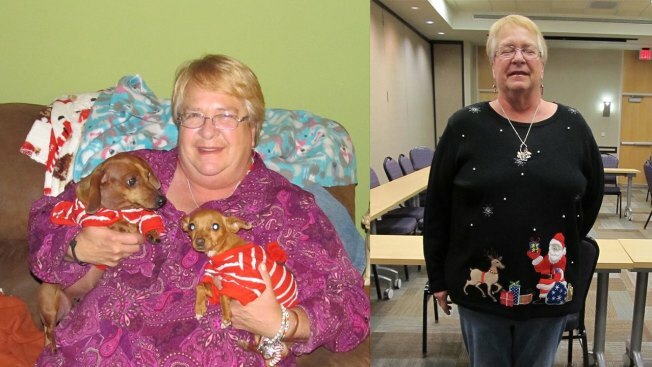 Thanks to her Sentara team, Becky was able to shed the pounds and get life back on track. The following content is created in consultation with Sentara. It does not reflect the work or opinions of NBC Washington’s editorial staff. To learn more about Sentara, visit sentara.com. “I had been to surgeons all over the area trying to get some relief. It was to the point where I had to use a wheelchair a lot of the time. At the very least, I had to use a walker,” explains the 62 year old. As her crippling back pain increased, so did her weight. “Everyone said, there was nothing they could do for me,” she remembers. Until her primary care physician suggested gastric bypass surgery, sharing how another patient received relief after undergoing the procedure. From there, an idea was born. “I thought about it for a while and I thought, let’s see what’s involved,” says Turner. That’s when she met Dr. Masoud Rezvani and the team at the Sentara Weight Loss Surgery Center, a designated Accredited Center by the Metabolic and Bariatric Surgery Accreditation and Quality Improvement Program (MBSAQIP.) Her insurance said it would pay for the procedure, but Turner would have to undergo testing and complete a six-month dietary weight loss class. After the class was completed, the insurance company gave the okay. Because Becky was a diabetic with an insulin pump, the decision was made to perform a Biliopancreatic Diversion with Duodenal Switch, also known as BPD-DS, using minimally invasive robotic surgery. 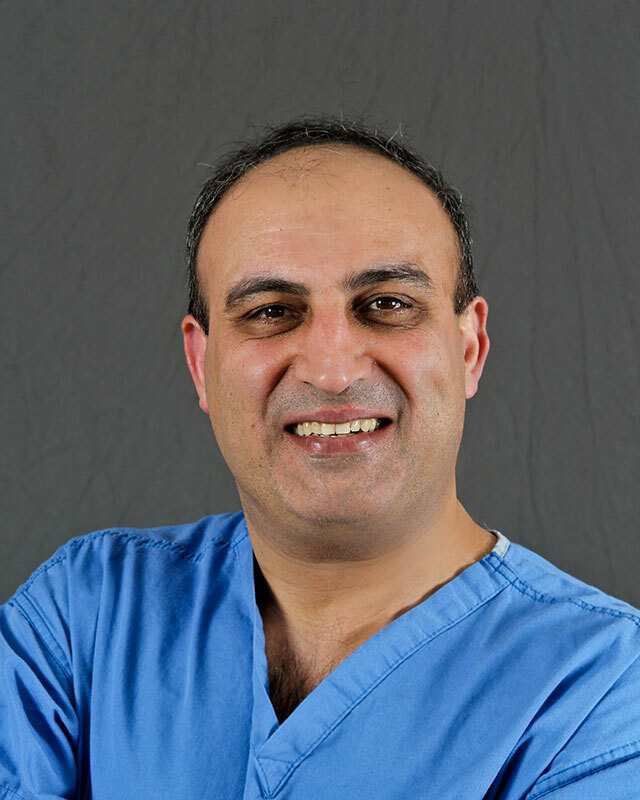 Dr. Rezvani is one of the only gastric bypass surgeons in Northern Virginia, who performs this complicated procedure. In just three months since her surgery, Becky has already lost 92 pounds and dropped more than three sizes. “I’m shocked it’s coming off as quickly as it has,” and her back which had been in constant pain is already feeling better, “Though it’s not 100% yet, it’s about 70%. I can go and do stuff again. I can help with yard work,” she says smiling. “Before my back really started hurting, I used to walk 5 miles each day. And I felt great. So, it has been about 6 or 7 years since I felt this good. I’m looking forward to getting back out there,” says Turner. Surgery isn’t for everyone. To learn if you qualify, head over to sentaranova.com/wl, there you can watch our informational videos to discover if weight loss surgery is right for you. Or you can call 1-800-SENTARA to learn more. In just three months since her surgery, Becky has already lost 92 pounds and dropped more than three sizes. “I’m shocked it’s coming off as quickly as it has,” and her back which had been in constant pain is already feeling better, “Though it’s not 100 percent yet, it’s about 70 percent. I can go and do stuff again. I can help with yard work,” she says smiling. “Before my back really started hurting, I used to walk five miles each day. And I felt great. So, it has been about six or seven years since I felt this good. I’m looking forward to getting back out there,” says Turner. Surgery isn’t for everyone. To learn if you qualify, head over to sentaranova.com, there you can watch our informational videos to discover if weight loss surgery is right for you. Or you can call 1-800-SENTARA to learn more.